Brown wool embroidered with yarn and silk thread. An abstract image was created on this coat as if it were a canvas, however, it was totally executed by embroidery. The couching stitches hold vertical wool yarns with silk threads in place to produce the image. 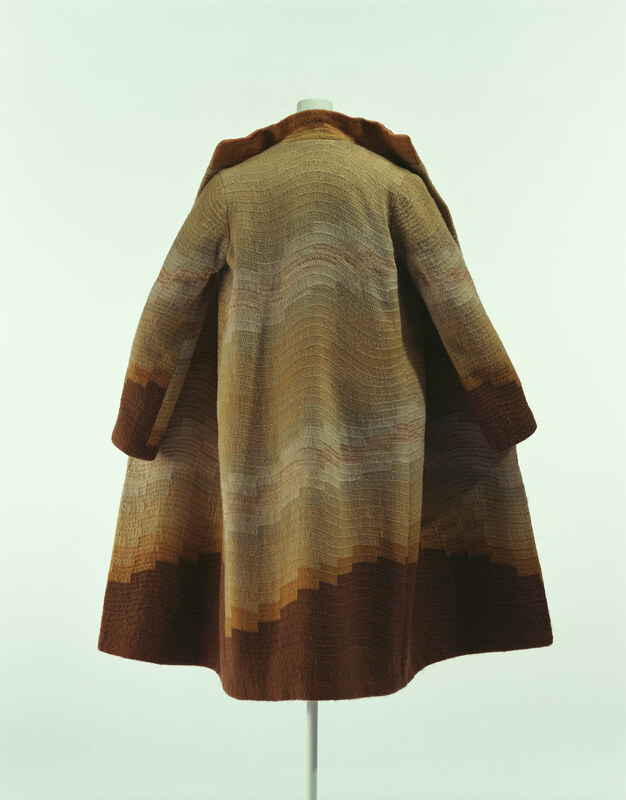 Sonia Delaunay, who started her activities as a painter in the 1900s, also designed a wide range of articles including textiles and dresses, crossing the border between fine arts and fashion.